Recorded in DSD64 and mixed through analog console to DSD128. 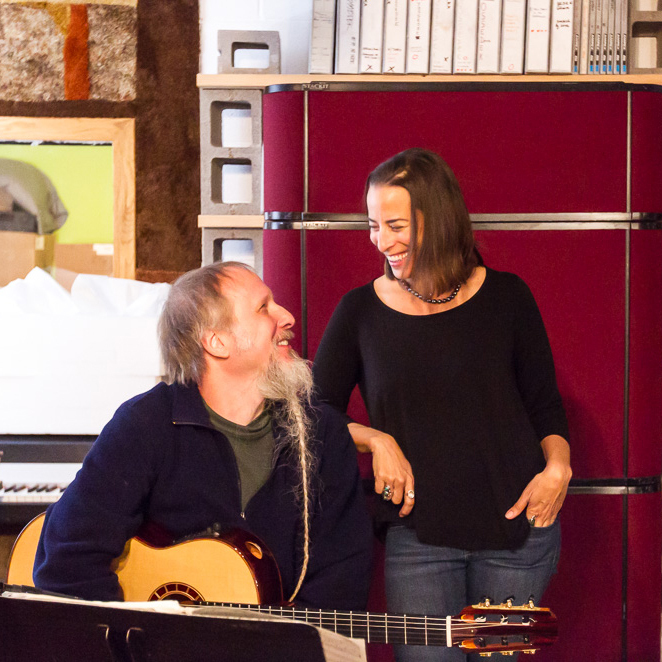 Jenna Mammina (long time Blue Coast Records' favorite) and Rolf Sturm visited our studio for a special one of a kind recording! A must hear is "Wicked Game" - a song originally written and performed by Chris Isaac. Jenna and Rolf put their unique spin on this classic song making a haunting version all their own. The album flows effortlessly as they perform classic pop and jazz songs of the 70's and 80's. Recorded without headphones or overdubs, you'll hear every breathe and strum of the vocals and guitar. Of Jenna's voice, former senior editor of Rolling Stone Magazine, Ben Fong-Torres says “Exquisite. Rolf Sturm has also earned the praise of Joe Pass, Jim Hall, John Abercrombie, and Bill Frisell. Together they create a beautiful sound that captures our imagination and brings a fresh feel to popular songs. Recorded to DSD, and mixed through an analog console to DSD128 by Blue Coast founder, Cookie Marenco.